As an Oncology Massage Therapist my path has also led me to become a Patient Advocate. Over the past ten years, the faces and stories of the patients I have met have left an indelible impression on my consciousness. As invested as I am in the benefits of massage during treatment, I have also helped patients investigate safe spa treatments for when they have completed treatment, so that they can continue with massage. I have also cautioned them about body wraps, hot tubs, stone therapy and body scrubs. The conversations always revolve around safe massage and body treatments when there has been nodal dissection. Lymph edema is a lifetime risk and I want to make sure that they receive the correct information to make informed decisions about complementary care that will help them with their quality of life after cancer treatment.One of the major issues about the risk for lymph edema is the confusing and conflicting statistics associated with incidences of lymph edema. It is a lifetime risk; lymph edema can happen from immediately after surgery to 10 years later or even longer. The numbers go from very low to over 30% depending who you are talking to or which article you are able to find on the internet. Many variable contribute to lymph edema, including; how many nodes removed, whether the affected limb is the ‘dominant’ limb, other medical issues that might contribute to risk, weight, occupation, activity level, chemotherapy, radiation or a combination of treatments. 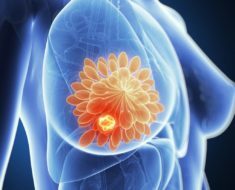 Even when you can find a research article that includes statistics on lymph edema, these variables can make the research challenging to decide your own personal risk level.To make matters even more difficult, lymph edema may not just be in a limb, but due to treatments for breast cancer, it may be in the chest or back. Also, the statistics are deceiving due to lack of reporting, many women just “live with it” due to lack of insurance, inability to get to treatments or have tried manual lymphatic drainage therapy and were unhappy with the results. The consequence of no treatment or not adhering to self-care is the risks of cellulite, hardening of the skin, pain, loss of range of motion.In my ten years of meeting new patients as they begin chemotherapy or radiation treatment, I have witnessed so much frustration with patients about this issue. The common question is always, “why didn’t anyone tell me?” I truly believe that the first goal for any physicians, whether surgeon or oncologist is to save the patient’s life, that everything else is of secondary importance. I have not met a patient who would have refused treatment to avoid the risk of lymph edema, but they always voice that they felt the education should have come somewhere earlier than later in their treatment journey.If they have been diagnosed with lymph edema, it is a major concern; it affects their work, their self-image, causes pain, the ability to care for their small children, hold their grandchildren. Even when they don’t have lymph edema the fear of getting it causes them to restrict their arm, which further causes problems with shoulder issues, frozen shoulder being a major problem. As I meet and introduce myself to new patients at the outpatient cancer centers that I work at, education on the risks/preventions of lymph edema has become one of my goals. 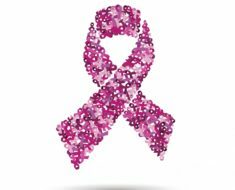 Which in turn made me wonder how much education is happening for patients who don’t have the advantage of being at a cancer center that does educate patients.I have volunteered for four years at the Living Beyond Breast Cancer conference. For 3 days attendees receive free massage and information about the risks/prevention for lymph edema. Attendees are encouraged to search out qualified oncology massage therapists who could help them find a “new normal massage.” Information is given out for the National Lymph edema Network so that they could be informed about their self-care and when to seek medical advice. 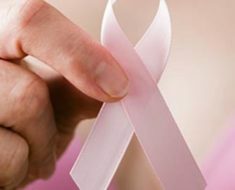 Safe spa treatment is stressed, the importance of finding spas that train their nail techs, massage therapists and aestheticians about oncology treatments and spa services.The 5th Annual Joining Force Against Hereditary Cancer Conference was held in Orlando, June 24-26, 2010. This would be the first time that I had participated as a previvor of ovarian cancer and Patient Advocate. I was up bright and early to take advantage of the breakfast meeting with the speakers at FORCE. The presenters were gracious enough to give of their time to join the attendees for breakfast and answer our questions. I made my check-off list of those to whom I wanted to speak to. My morning started with a conversation at the gyn-oncology surgeon’s table. I wanted to know his concerns about lower limb lymph edema from gynecological surgeries for cancer. Wasn’t surprised to hear him say that the statistics were low and he didn’t really see much lymph edema. Since the symptoms of lymph edema can happen years later, I am sure that is one of the reasons a surgeons’ statistics would be low. As an oncology massage therapist, though, I do meet patients that have not received much information about risks/prevention of lower limb lymph edema and do comment that they have noticed some of the symptoms; tingling, different leg size, heaviness or aching at the end of the day. That is when I usually suggest that they see a specialist to see if they need any treatment or simply self- care for maintenance of the limb at home.My next stop was to with Dr. Kathryn H. Schmitz, Associate Professor from the University Of Pennsylvania School Of Medicine. When I introduced myself I asked her the same question, “Why are surgeons so hesitant to explain risks/prevention for lymph edema for surgery, especially lower limb lymph edema?” We started the conversation that I had come to hear and learned a new analogy to bring back to my clients. Dr. Schmitz explained that cardiac surgeons routinely send their patients to cardiac rehab, that they would never expect their patient to go to a gym and work out on their own. She believed that the limb should be treated in a similar fashion, rehab the limbs and the patients would do better. Hopefully when patients are rehabbed earlier according to Dr. Schmitz, there may be fewer incidences of shoulder problems, recognize lower limb lymph edema, and help a survivor when they have a diagnosis of lymph edema or risk the worsening of lymph edema.Dr. Schmitz was kind enough to send me some research on lymph edema that I forwarded to a Physical Therapist and Manual Lymphatic Drainage Specialist. After thanking me for sharing the article with her, the physical therapist said “Exercise has always been an important part of the lymph edema program for the Leduc method. All of our patients, unless they have certain contraindications, have exercise as part of their rehab. We stress this because this is part of the rehabilitation process. The problem comes in when the doctors perform the surgery and then let the patients fend for themselves. Then the patients come with frozen shoulders and terrible arm pain. I think that part of the problem, too, is that there is such a paucity of articles dealing with exercise and the cancer patient. This is where the critical thinking process comes in. If the therapists or the caregivers would just spend some time explaining the procedure to the patients and how their bodies change after the surgery, after chemo and radiation, then the process of rehab tends to be better and more manageable. The patients become less anxious and then they tend to move better with or without the prescription for therapy. They realize the importance of mobilizing their joints and then half of the battle is won. I think that the education process should start at the beginning – when the diagnosis is uttered and the patient goes through the process of healing one small step at a time.”Continuing these conversations I spoke to an oncology nurse and she said the following, “I firmly believe that the risk of lymph edema is something we need to discuss with our patients when we meet with them whether it is before or after surgery. Patients depend on us to take care of them; this is a part of care giving. If we teach this enough then we may be able to prevent some of the issues we are now seeing. We have a part to play along with the surgeons and physical therapists. The responsibility rests on us all.”Lately I have seen many “retreat” opportunities for patients that encourage activities to help them reflect, renew, renourish and move on to the new normal of their lives. Creating these memorable moments must be balanced with trained support staff for those patients that have had nodal dissections. Yoga teachers trained for special poses for breast cancer patients, massage therapists enlisted to help the attendees of the retreat that have specialized training, exercise specialists that understand the special needs of patients.I am more determined than ever to be the missing link to help patients learn the risks/benefits of lymph edema education and refer them at the first sign of any problems. I am grateful that I can be a help to reducing that risk. They are my heroes and no one should get lymph edema due to lack of information.